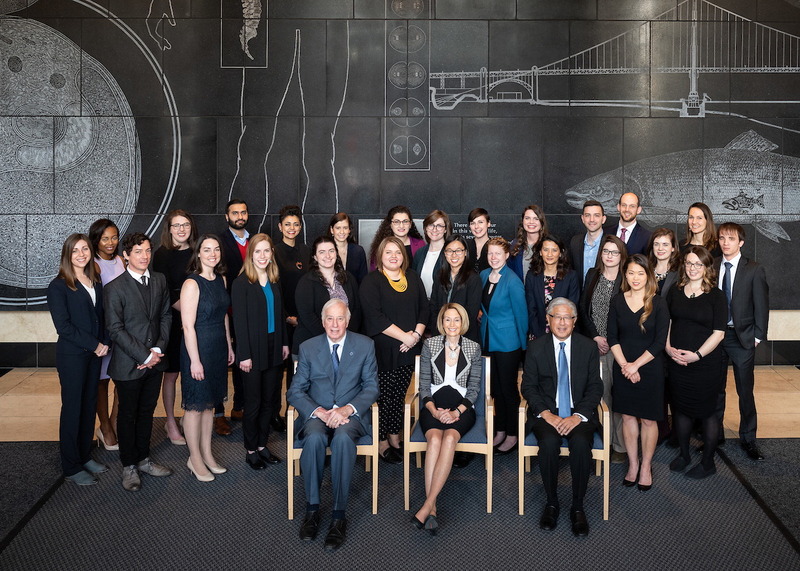 The application period for the 2020 Mirzayan Fellowship program will be open from 6/17/19 to 9/6/19. The Fellowship stipend will be $9,250. Please check back here for the latest information on applying as it becomes available. Subscribe to our mailing list for notifications. 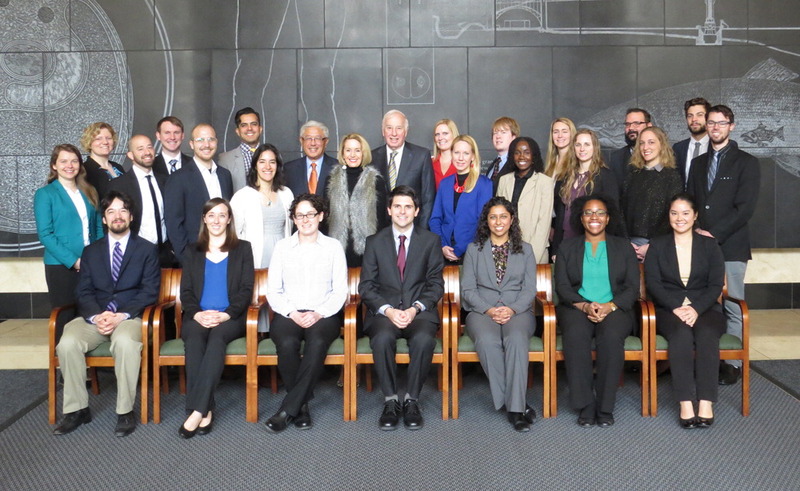 The Christine Mirzayan Science & Technology Policy Graduate Fellowship Program, now in its 20th year, provides early career individuals with the opportunity to spend 12 weeks at the Academies in Washington, DC learning about science and technology policy and the role that scientists and engineers play in advising the nation. 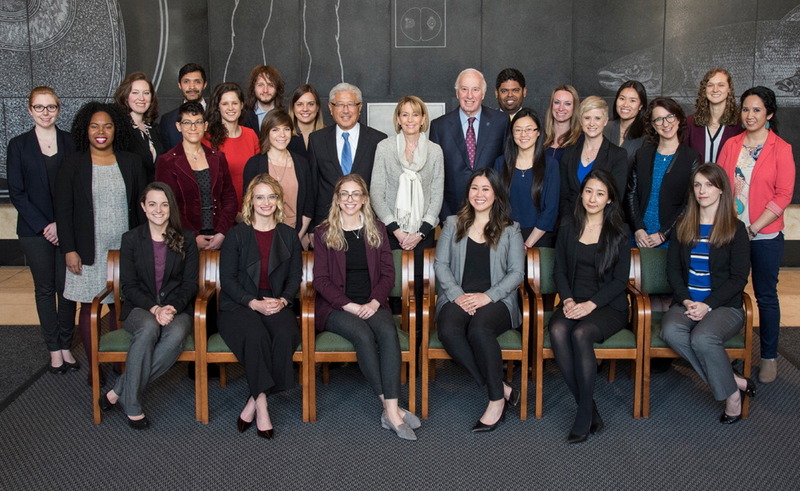 Each year, applicants from around the world become part of an Academies' committee, board, or unit where they are assigned to a mentor and learn about the world of science and technology policy. An immersive experience, the program is designed to broaden fellows’ appreciation of employment opportunities outside academia and leave them with both a firm grasp of the important and dynamic role of science and technology in decision-making and a better understanding of the role that they can play in strengthening the science and technology enterprise for the betterment of mankind. 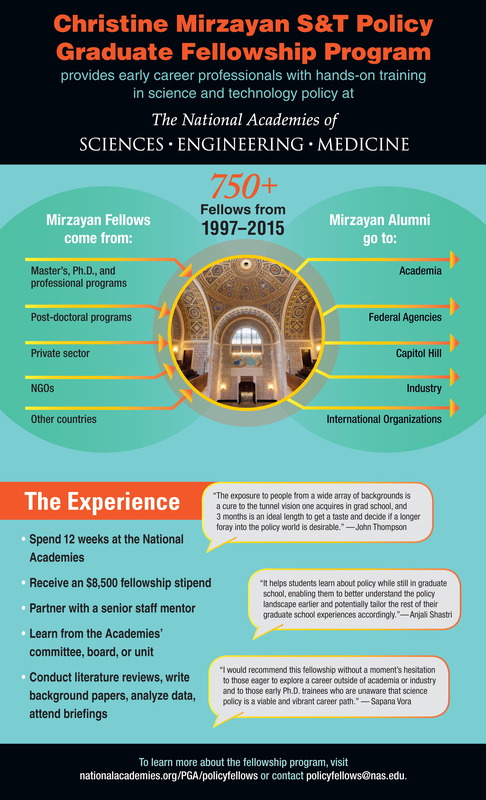 Please contact the Mirzayan Program Office with any questions about the program.